USB flash drives are great because they are really cheap and you can conveniently move data between computers. The only problem is when you store sensitive data on a USB drive and it gets lost or stolen! Most people are intimidated by the words “encryption” because it involves fancy algorithms and names like “WPA, EFS, SHA1, etc”. 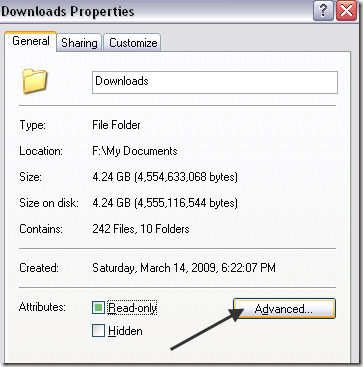 However, there’s a very easy way to encrypt a USB drive in Windows. We will use Windows Encrypting File System to create an encrypted folder on a thumb drive that only one user account on one computer can read. 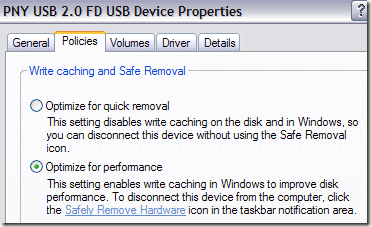 Firstly, you have to make sure the USB drive is formatted in NTFS format. Most USB drives are formatted in FAT16 or FAT32 format, which does not support encryption at all. Ok, now that your USB drive is in NTFS format and all the data has been erased, we can setup a folder that will contain all the encrypted data. What I like about this method is that you can store all the sensitive files in the encrypted folder, but store other files normally outside the folder. That way, you can still pop the USB drive into someone else’s computer and they can view all the files not in the encrypted folder. Go to My Computer, open the flash drive, right-click and choose New Folder. Name the folder anything you want, but try not to make it obvious that it has sensitive data otherwise people might be more inclined to try and get in. Now right-click on the new folder and choose Properties. Click on the Advanced button in the Attributes section. 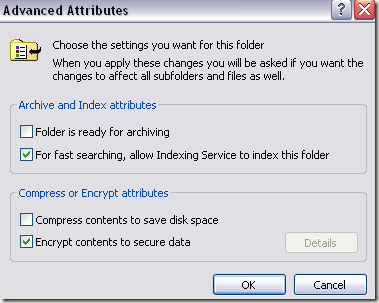 Now check the Encrypt contents to secure data box. Click OK and click OK again to close out the dialogs. Now you’ll see the folder is in green, which means the data is encrypted. That’s it! Now you have a folder on your USB drive that is fully encrypted and viewable only by your user account on that one computer. How to Fix PC Problems Remotely ?